Ever since moving from the Midwest to Florida, we have gone on our fair share of road trips to visit family back in Wisconsin. If you’re counting, that’s a 19-hour drive each way, and longer if you count all the stops you need to make for gas, restroom, and food. We try not to stop for fast food if at all possible since it can really add up and it also makes everyone feel sluggish and maybe a little greasy. Our strategy has always been to pack healthy snacks that travel well, meals we can eat on-the-go, and, of course, a few treats. Because what is a road trip without a little bit of sugar? We currently have 3 kids ages 5, 3, and 1, so we have to be strategic about what they can eat in the car without spilling, choking, making a mess, or getting crumbs everywhere. This is a pretty tall order, but I’ve figured out the snacks and systems that work for us. This post contains affiliate links. That means that if you use the links to purchase something, I may receive a small commission at no extra cost to you. Thanks for supporting my blog! We always bring one small to medium sized cooler for perishables, and one basket of pre-portioned pantry snacks. We’ve also tried the 3-drawer tower in the van with snacks in some drawers and toys or diapers/wipes in other drawers, and that has worked nicely, too! It takes up vertical space but not a lot of floor space. Grab your free road trip scavenger hunt for kids here! Thank you! 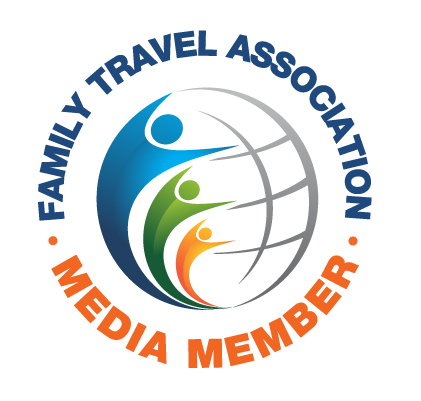 Be sure to confirm your subscription to receive your free road trip scavenger hunt! As I mentioned, we try to avoid stopping for fast food if at all possible, which means we have to get creative about what to feed everyone on the road, especially for meals. The entire family gets an IsaLean Shake, or half an IsaLean shake for the little ones, for breakfast. These are easy to prepare in a shaker bottle and cause little mess. I bring Bubba tumblers with straws for the kids so they don’t spill. (Pro tip: I make sure to shake these up either while we’re stopping for gas or coffee or right before we stop so that I can rinse out the cups right away. No one wants a dirty shaker cup smelling up the car). If we’re feeling really fun and don’t care about sugar - PopTarts! Let’s not get too fancy with lunch. There’s nothing better than a good old PB&J sandwich on a road trip. If you have allergies in your family or just don’t love PB&Js the way I do, you can try deli meat sandwiches if they won’t be sitting in the cooler for too long, or those make-your-own protein bistro boxes. We also use IsaLean Shakes and IsaLean Bars as potential lunches in the car, especially for the adults. I like to cut up the IsaLean Bars for the kids as a high-protein side for their lunches to help keep them full. You can pre-portion out lunches in Bento Boxes for the kids to maximum organization and ease, or make it a more relaxed choose-your-own-adventure lunch. The younger your kids are, the easier it will be to have lunches already made. Dinner can be a little tougher to pack and eat on the road, but you do have options! Cold shredded chicken is your friend - cook ahead of time in a crockpot, season however you like, and use for sandwiches or on crackers. You could also do pasta with cut-up cherry tomatoes, and chunks of cheese. Another option would be to find a grocery store along the way and pick up some deli sandwiches or popcorn chicken. It’ll be a bit cheaper and healthier than you would find at a fast food restaurant. In my opinion, one of the best parts of road tripping is the snacks. I can easily get carried away and eat way too many empty calories simply out of boredom, so I’ve learned to pack healthy filling snacks alongside my favorite treats to balance it out a little bit. That way I feel much better once I reach my destination and have more energy to deal with the kids. Fruit Loop necklaces (string Fruit Loops on yarn and let the kids wear them as necklaces - like a slightly less sugary version of those candy necklaces we ate as kids). 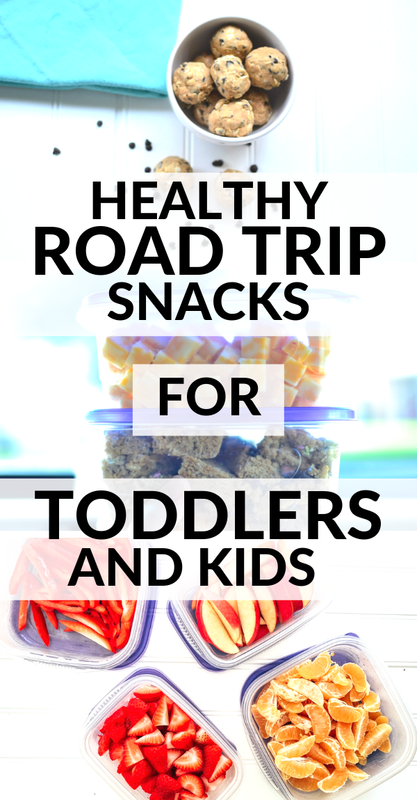 Handing out food: I give each kid a Take & Toss cup at the beginning of the road trip, and we use that to portion out food and snacks so they can keep it in their cupholder. Snack bags: Consider pre-packing a snack bag for each kid, and giving them the responsibility to eat it or ration it as they see fit throughout the trip. This would depend on the age and maturity of your child, but it does help avoid the problem of the kids constantly asking for snacks. I like to do one healthier snack bag and one “treat” snack bag. I do my best to remind them that once the food is gone, it’s gone (with a lot of grace for younger kids still learning the art of self-control. I’m still learning myself). Stock up on water: Each kid has their own stainless steel water bottle, and we adults need to stay hydrated, too. Instead of stopping at gas stations and paying $2 for a cold bottle of water, we keep frozen water bottles and cold gallon jugs of water in the cooler. They act as ice packs for the food, and we have a supply of water to refill water bottles during the trip. Have a cleanup kit: Always, and I mean always, travel with paper towel, wipes, and plastic bags. (Or for my eco-conscious friends, rags, reusable wipes, and reusable wet bags). We also keep Nature’s Miracle in our car for potential spills, accidents, or car sickness. We’ve kept this magical cleaner on hand since we got our dog before we even had kids, and it cleans EVERYTHING. It’s magical. Dollar Store caddies: I’m sure you’ve seen this hack on Pinterest, and I’m here to tell you it’s legit. A few years ago I bought 3 of these from our local Dollar Store, and we use them as extra cupholders, snack bins, and even a place to put crayons and markers during the road trip. Keep it cool: Bring some plastic baggies with you to fill with ice at gas stations or fast food restaurant soda fountains. Use the ice to keep your cooler chilled throughout the trip. This is a lifesaver for us when we’re driving for almost 24 hours with milk or yogurt for the kids. Pick up: Make sure to bring a garbage bag or plastic bag with you to toss trash right away. And there will be plenty of it, especially with toddlers who like to throw half-eaten food on the floor or stuff it in their car seats. Toss the garbage you’ve accumulated regularly when you stop for gas or bathroom breaks. Get moving: Not necessarily food related, but try to get some movement in during your stops. Find a park where you can walk some laps while the kids climb and play, or just do squats, lunges, and calf raises at a rest stop while your spouse is in the restroom. Your body and digestive system will thank you! Need to keep kids busy on your next road trip? Sign up for my newsletter and receive a free road trip scavenger hunt for kids!